KANSAS CITY, MO. (Dec. 30, 2016) – Kansas City Restaurant Week (KCRW) presented by US Foods kicks off Friday, Jan. 13, with more than 180 participating restaurants across the metro area. The 2017 event, concluding with dinner service on Sunday, Jan. 22, marks its eighth consecutive year in Kansas City. KCRW 2017 participants will offer lunch and dinner menus under two price tiers - $15 and $33. For the first time in Restaurant Week history, the two prices are interchangeable, allowing each participating restaurant to customize a lunch and/or dinner menu that best represents its dining experience. 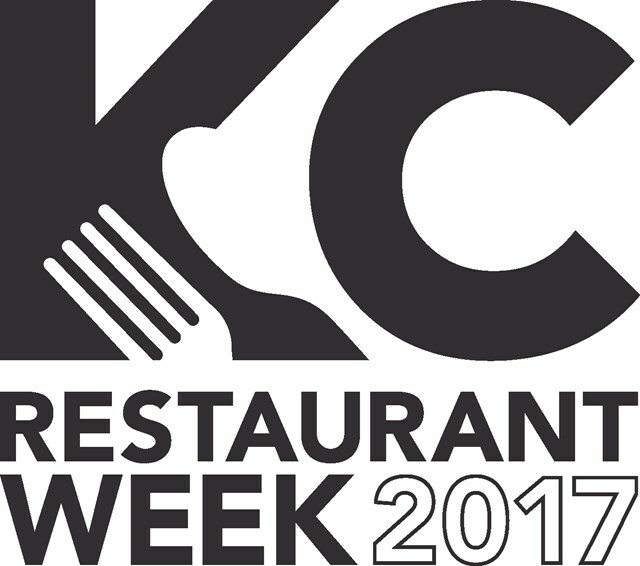 To browse menus or make reservations, visit KCRestaurantweek.com, or download the new and improved, free KCRW app for iPhone and Android. Both platforms continually update with new participating restaurants and available menus. Additionally, both the KCRW website and app feature a search option for special dietary restrictions such as gluten free, nut-free, vegan and vegetarian, plus a recent menu updates feature allowing visitors to track newly added KCRW menus. Continuing its commitment to the Kansas City community, 10 percent of proceeds from all KCRW meals between Jan. 13-22 will benefit five, local charitable beneficiaries. Over the course of its first seven years, KCRW has raised more than $1.4 million for local charities. BoysGrow (www.boysgrow.com) – Founded in 2010, the mission of BoysGrow is to teach entrepreneurism to urban male youth in the Kansas City area through farming and agriculture. The organization operates two working farms maintained by male youth, ages 14-16, from throughout the metro. Participants use fruits and vegetables grown at the farms to create products such as ketchup, salsa, barbecue sauce, and hot sauce to be sold in local restaurants and food stores. BoysGrow will unveil its 2015 product, Tzatziki salad dressing, in mid-August. Children’s Center for the Visually Impaired (www.ccvi.org) – Founded in 1952 in the basement of an area church, CCVI has grown to serve nearly 400 children annually from birth to age eight in the Kansas City metro with visual impairments. The center offers programs for children and their families including a food program designed to teach children with visual impairments positive eating habits, leading to the development of good health and positive social skills. Cultivate Kansas City (www.cultivatekc.org) – Founded in 2005, Cultivate Kansas City works to grow food, farms and communities for a healthier local food system in the Kansas City area. Beginning in 2015, the organization took ownership of Beans&Greens, a program to provide incentive to those receiving government assistance to shop at local farmers markets. The program matches dollar for dollar EBT, SNAP or other assistance-program monies spent at farmers markets, allowing low-income families to effectively double their budget when purchasing healthy, locally produced items as well as bringing new customers to local farmers. Kansas City Regional Destination Development Foundation – Administered by Visit KC, the foundation focuses primarily on the identification, development and advocacy of tourism products in Kansas City and its surrounding communities. The KCRDDF oversees the Heartland Tourism Ambassador training program and provides career development opportunities in tourism, with specific interest in at-risk populations, including youth, minorities and seniors. Greater Kansas City Restaurant Association Educational Foundation – Administered by the GKCRA, the foundation seeks to promote the restaurant industry in the greater Kansas City area by offering scholarships to students pursuing a career in the hospitality industry. 67. Great Plains Cattle Co.
171. Tom’s Town Distilling Co.